Think about this one for a moment. 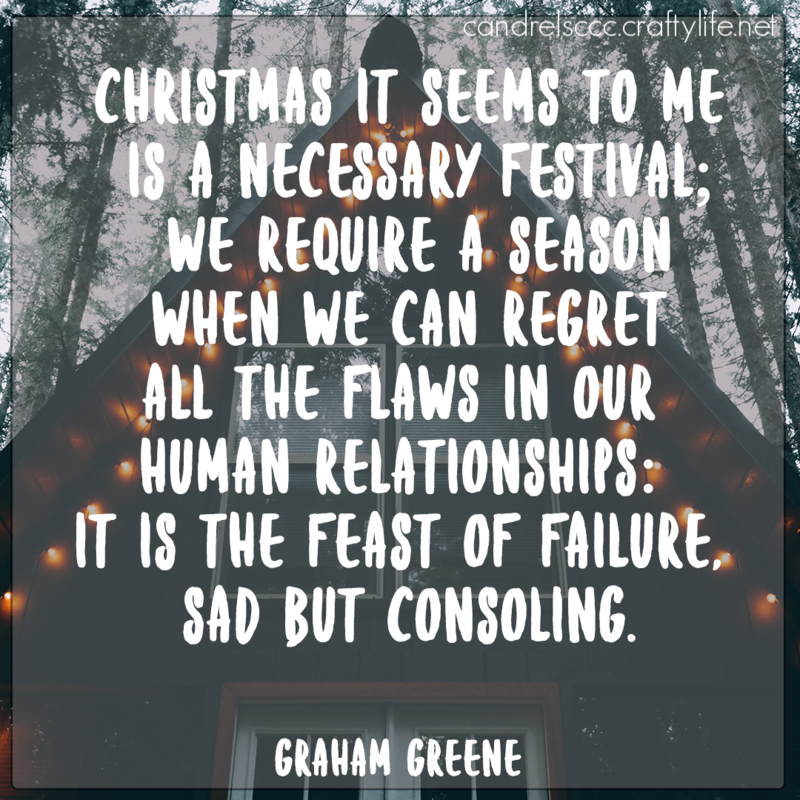 If you’re like me, at first that whole “feast of failure” thing sounds a bit odd. But when you really chew on what Graham is saying here, it starts to make more sense. We have a tendency to forget about people during the rest of the year. Perhaps we get into stupid arguments over trivial things. We forget to cherish our relationships. Work and other happenings end up taking precedence over our relationships with our friends and family. In short, we are often failing at being the best that we can be with those friends and family. And then the magic of Christmas comes along. We remember how much we love our friends and family. Yes, we may buy them presents, but we also often honor each other with our presence. Those moments of appreciation and quality time heal those wounds that we didn’t realize we were starting to create over the past 11 months. We become better people. Isn’t that why we have all of those feel-good Christmas books and movies? We talk about wanting that Christmas spirit all year long. I think it is because we realize that we lose a lot of those feelings and want to do better. How do you feel at this time of year?